The story of an internal bookkeeper’s fraud at a small family-owned business in Chicago demonstrates how companies can become the victims of accounting fraud. The business, Graff-Pinkert & Company, buys and sells several different types of industrial manufacturing machinery. The company never thought that it would become the victim of an internal fraud. Graff-Pinkert’s accountant, Kellie Kelly, stole more than $100,000 from the company by writing counterfeit checks to herself in a blatant case of internal fraud. Kelly would present checks that were payable to vendors to her boss. Once she secured his signature, she would then place the checks back in her typewriter and erase the vendor’s name using the typewriter’s erase key and then either writing in her own name or writing them as payable to cash. Kelly’s embezzlement by writing counterfeit checks took place over a period of four years. When the family-owned business finally discovered the thefts, she had forged more than 270 of them. The company learned of the embezzlement while Kelly was vacationing at Disney World in 2000. While she was gone, the business’s credit card bill arrived. When the business owner reviewed it, he noticed several suspicious charges, including a backyard shed and Rugrats movies. He fired her before she returned from her vacation and called the FBI. Kelly pleaded guilty to mail fraud and was sentenced to two years in prison in addition to being ordered to repay the company restitution. The Association of Certified Fraud Examiners reports that employee fraud results in $400 billion of losses annually to U.S. companies. In this case, the accounting fraud happened to a small business that only had 15 employees. Can accounting fraud be ended by getting rid of checks? Small businesses that have less than 100 employees are at greater risk of being the victims of internal fraud. These businesses may sometimes have higher average losses than the averages of much larger corporations. Accounting fraud can take multiple forms, including the direct misappropriation of business funds, check fraud and billing schemes. Check use has been declining as newer, digital options have become available. Because of the many forms that accounting fraud can take, simply getting rid of checks is likely not enough to prevent fraud. 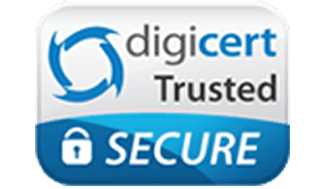 Employees may take money from petty cash to use for personal purposes, transfer money via wire transfers, pay themselves instead of vendors, intercept bills and cover their tracks with outdated accounting software by changing entries later. Visit this guide by the FTC for more tips on how small businesses can protect themselves from fraud. Business debit cards from Bento for Business can help small business owners to mitigate the risk of employee thefts and fraud. With these cards, business owners may order up to 10 cards for employees for as little as $29 per month. The business owner can set limits for what each card can be used on according to the job duties of the individual employees. For example, one employee may be limited to purchasing gas at the pump while another may only be able to use a card to buy office supplies. Business owners can check their employees’ spending by simply looking at the proprietary software’s dashboard. If an owner sees a problem, he or she can immediately turn off a card 24 hours a day, seven days per week. Employees are unable to withdraw cash from the cards, and the business owners can control how much cash is deposited on each one. In addition to all the added security of business debit cards, Funds held within Bento are FDIC insured to at least $250,000 through The Bancorp Bank, Member FDIC, and use SSL encryption to ensure confidentiality. Keep accounting or bookkeeping fraud from threatening your business’s stability. 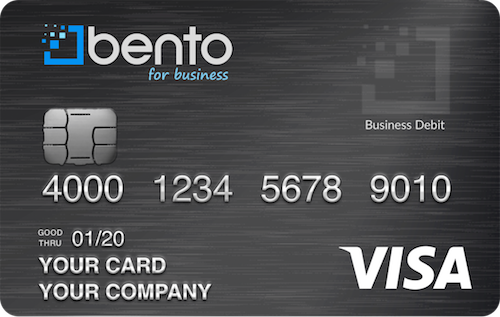 With Bento for Business, your company can enjoy an intelligent spending solution that affords a high degree of control. Sign up for your 60-day free trial or call us at 866.289.1104.